At Angel’s Martial Arts Center, our adult students experience a combination of exercises for both body and mind. On the physical side, the body is strengthened by cardiovascular workouts as well as isometric and dynamic tension exercises. Flexibility is improved through a gradual process of safe and easy stretching techniques. With deep breathing and concentration exercises we relax the mind and stimulate thoughts that lead to action. Of course, all of this is happening as you train your body and mind to respond quickly to any dangerous situation. 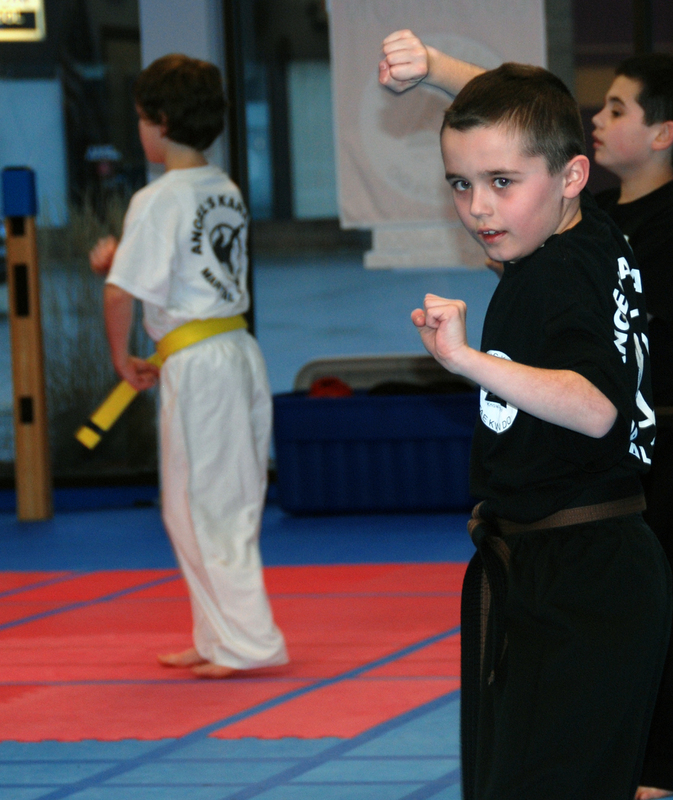 At Angel’s Martial Arts Center we teach a complete martial arts system. 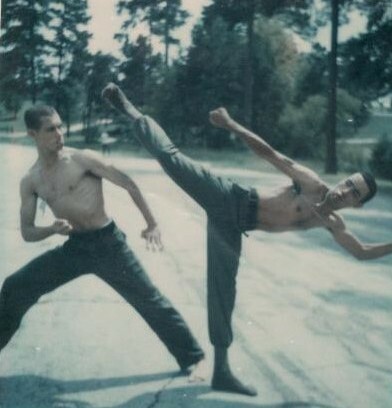 Our basic curriculum is Tae Kwon Do and it is enhanced by the flowing movements incorporated from Hap KI Do. Therefore, you will learn to defend yourself in virtually all situations. However, the success you will have in any given situation is dependent upon two things. First, you must believe you can do it, and second, you must develop the self discipline to make it happen. Our training will give you both of these attributes and will help you in business as well as your daily life. However, if trouble cannot be avoided, our students learn to defend themselves from “bullies” and other would be assailants. Our children’s programs are second to none. The programs are designed to enhance performance in other sports by improving coordination and concentration. As children successfully accomplish and reach for new goals, their confidence levels grow, their self esteem is enhanced, and the need to be self disciplined becomes an accepted standard. As part of our program, we have included visible as well as intangible rewards for our students. The visible rewards include different colored belts that are symbols of ever increasing levels of expertise in the martial arts, patches for the accomplishment of specific projects (such as honor roll), and different colored uniforms for the achievement of greater levels of dedication and training. However, even more important that these are the intangible rewards of praise for a job well done, the encouragement to continue when things seem difficult, and the verbal acknowledgment of goals reached and awards earned. Each of these enhances the child’s character and contributes to their own self worth. By using a structured program of instruction our students learn to think instead of panic in a threatening or potentially dangerous situation. In many instances, the knowledge of what one can do if challenged generates enough courage to avoid trouble. However, if trouble cannot be avoided, our students learn to defend themselves from “bullies” and other would be assailants. Our students are taught to be defensive in their actions and are trained to avoid the desire to become aggressive with others. The programs are designed to enhance performance in other sports by improving coordination and concentration. In addition, our unique program of learning includes education in history, geography, and anatomy. As you can see, we are committed to adults fitness and children development physically, mentally, and socially.